Museu Picasso is another must visit when in Barcelona. Although there are several Picasso museums, the one in Barcelona is the first and only one established on the express wish of the artist. But as an introduction to the museum, I decided to join the Picasso Walking Tour in order to experience and understand Picasso more by visiting places he frequented in Barcelona during the many years that he was there. 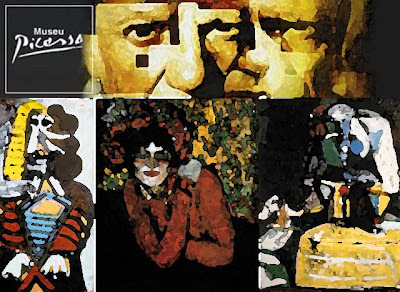 Discovering the bohemian Barcelona where Picasso lived, walking its streets, hearing anecdotes of the famous painter's friends as well as the events that influenced his life and artistic career was a great way to understand the Picasso story. We visited Els Quatre Gats, a restaurant in a modernista building frequented by Picasso and intellectuals of his time; the friezes on the facade of the Col-legi d'Arquitectes, his only piece of public art in Barcelona; as well as the Llotja de Mar, the building which housed the art school where he studied, among many other sites. We were also brought deep into La Ribera, a district which hosted Picasso's last studio before he departed for Paris. 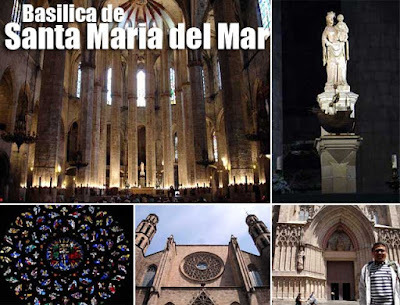 The district has a beautiful basilica namely the Santa Maria del Mar. 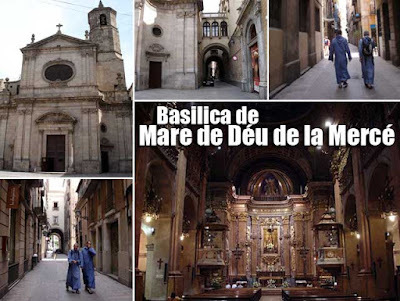 We also got to pass by another basilica, the Mare de Déu de la Mercé, in Barri Gotic. Stops are quick so you can opt to come back if you want to explore the interiors. The last stop is the museum which contains the world's most important collection of works from Picasso's youth and formative years. 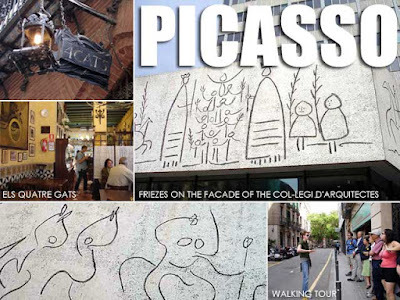 The whole cost of the tour is 15€ and this includes entrance to the Museu Picasso. And since tickets to the museum are given to you, there is no need to join the long lines to get one! But if you just want to visit, a ticket to the museum and the temporary exhibition would cost 9€. Entrance to the museum is usually free on the first Sunday of each month. Aside from the Picasso tour, there are three other walking tours offered by Turisme de Barcelona (Barcelona Tourism Office). These are Barri Gotic, a tour of Barcelona's Gothic Quarter; Barcelona Modernista which takes you to the works of modernist architects Antonio Gaudi, Josep Puig i Cadafalch and Luis Domenech i Montaner; and the Gourmet Walking Tour, where you can experience Barcelona's cuisine. Check the tourist information kiosks for schedules.